Our land-based athletic offerings include four team sports, baseball, softball, basketball and soccer, and three individual sports, tennis, archery and riflery. 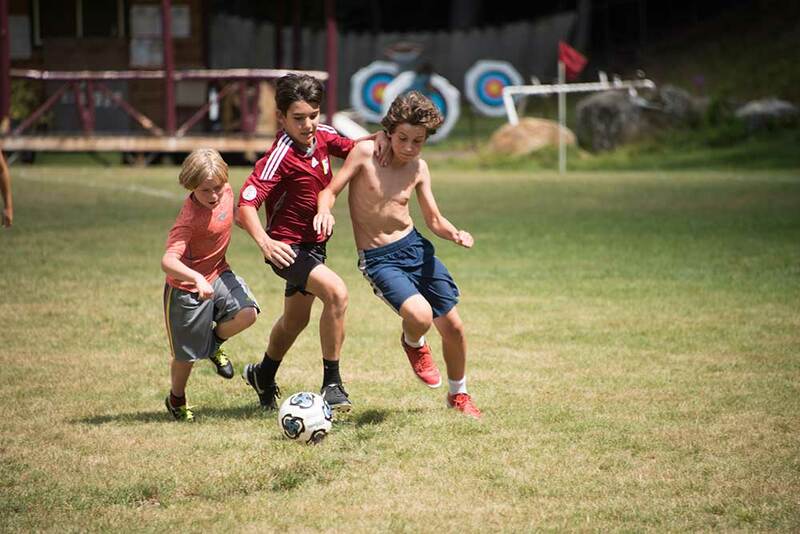 For each sport, we focus on skill-building during instructional time, with abundant opportunities for campers to hone skills during free time and in competitive settings. We offer intra-camp league play in baseball, basketball, basketball and soccer and are committed to providing all participants with meaningful amounts of playing time, regardless of skill level. For those who compete at a higher level, intercamp competitions are available in all of our sports. Although we do not consider Kawanhee to be a specialty sports camp, our facilities include a baseball diamond, basketball court, soccer field and clay tennis courts, all of which are of high quality and regulation size. 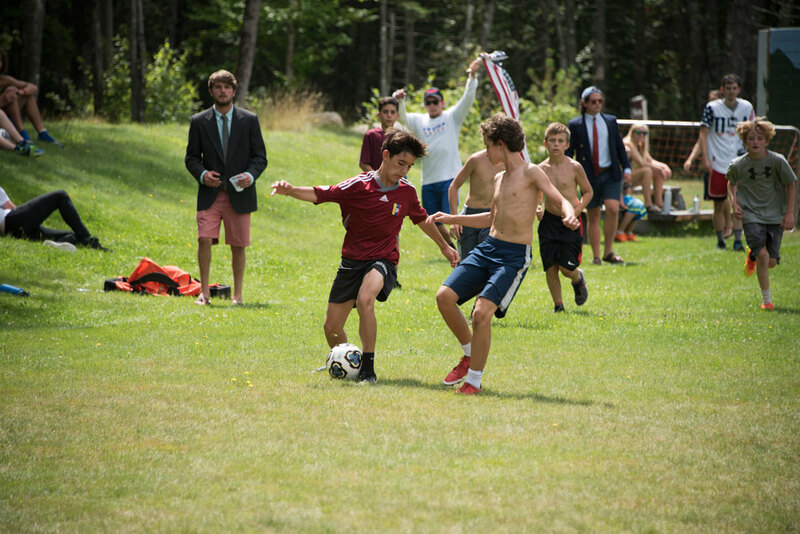 During choice time, boys often elect to participate in the various athletic leagues offered at camp. Participation in Basketball, Soccer, Baseball and Softball leagues are optional but encouraged. Each boy who shows up for a game or match is guaranteed an active role and an exciting, spirited event. 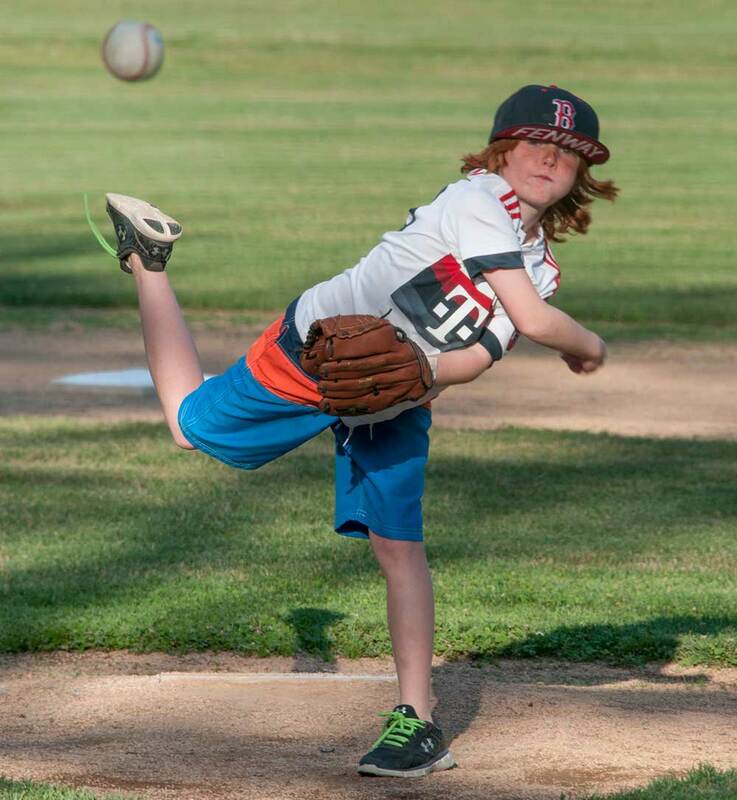 Leagues are designed to facilitate fun, fair-play and healthy competition among boys. 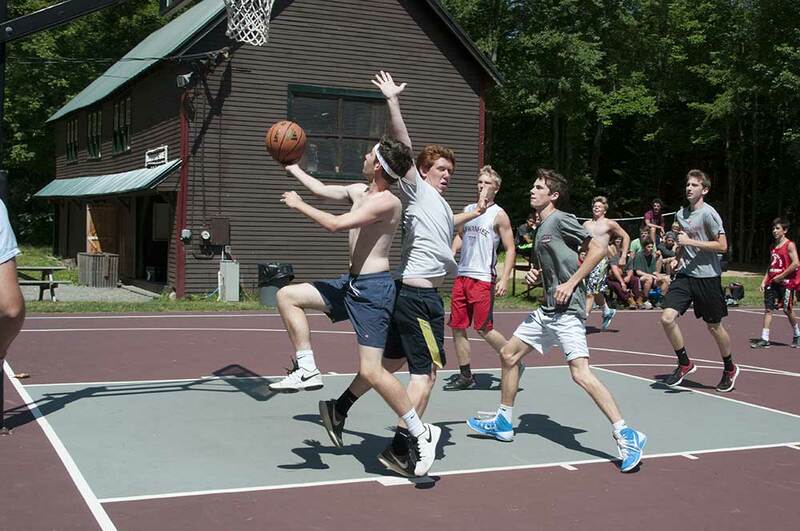 League play takes place throughout the summer and culminates with playoffs during the seventh week of the season. Instructional time with campers is spent working on the fundamentals of hitting, base running, fielding and throwing. More sophisticated concepts include positional play, backing-up the throw, hitting the cut-off man, and understanding the many rules of the game. Baseball is played by campers twelve years of age and younger, and softball is the name of the game for older campers. Our regulation-sized Little League field was replaced in 2011. Kawanhee’s basketball court is a busy place, both during instructional time and free time. Campers are taught the mechanics of shooting, passing, dribbling, moving without the ball, passing to the open man, the defensive stance and the fundamentals of man-to-man defense and rebounding. More advanced concepts include the give-and-go, setting screens, an introduction to zone defenses, and controlling the pace of the game. During free time, kids delight in spontaneous pick-up games, playing H-O-R-S-E, knock-out or just shooting around with a friend. Soccer is increasingly popular, both at Kawanhee and in the United States in general. Kawanhee’s soccer culture gets a huge boost from our Spanish and Puerto Rican campers, many of whom have had a ball on their foot since they were very young. Our soccer field was expanded in 2011, when our athletic fields and basketball court were replaced. During instructional time, campers focus on controlling the ball, anticipating how team-mates will move, and mastering short, crisp passes and receiving those passes. These skills are taught in smaller spaces on the field. Less obvious skills include challenging the ball, tackling, attacking by back-passing and lateral passing. Campers have the opportunity to try out their newly acquired skills in game situations during league play. 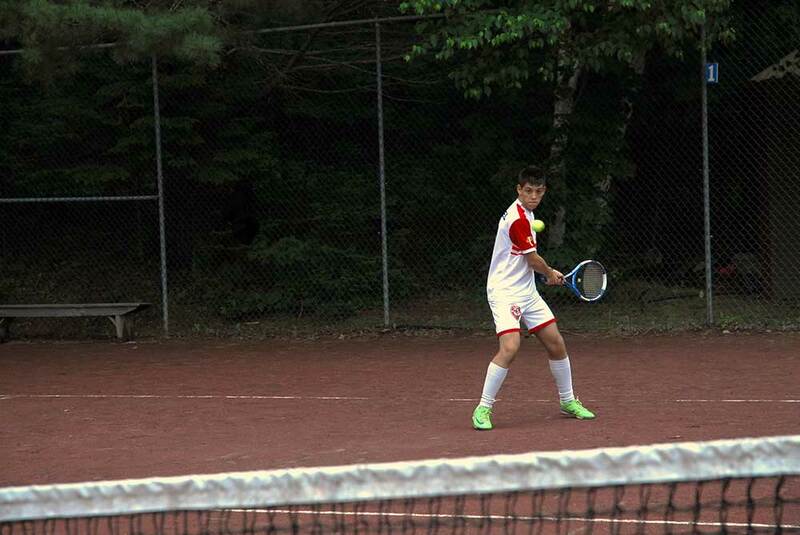 Kawanhee is fortunate to have three clay courts in excellent condition, and according to the New England Tennis Court Company, which refurbishes these courts before every season, the courts are among the finest in the entire state of Maine. Because of our top quality courts, and because of the excellent instruction from our coaches, tennis popularity continues to reach new highs every year. Many guys have been drawn to the romance of using a bow and arrows. At Kawanhee, the archery range is a place where these notions become realities. 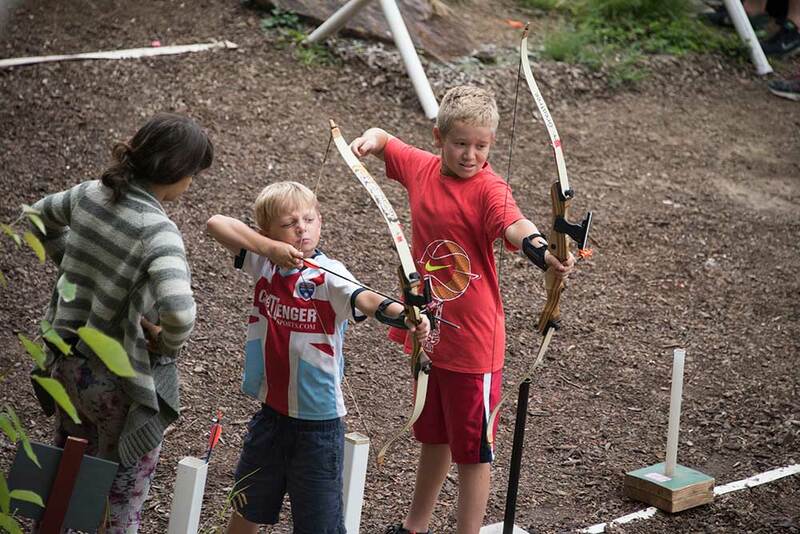 Campers receive expert instruction in the use of recurve bows. There is a bow for every age level and degree of strength, and each bow is equipped with a sight to help the archer achieve a high degree of success. Our archers work toward achieving levels of proficiency established by the Camp Archery Association and recognized by tangible medals and patches awarded at Saturday evening campfires. Kawanhee archers are also offered the opportunity to compete in inter-camp tournaments. Our rifle range instructors, Mary Birch and Sandy Winkles, have between them at least fifty seasons at Kawanhee. They put in many extra hours at the range to accommodate Kawanhee’s eager marksmen. Over 30,000 rounds of ammunition are shot each summer. 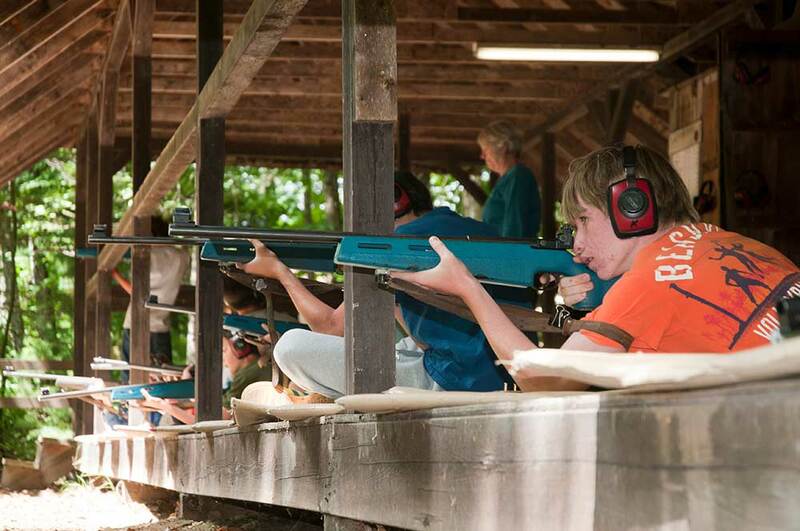 Every camper learns the correct and safe way to handle a rifle. The rifle program is affiliated with the Civilian Marksmanship Program. The “CMP” recognizes a marksman’s progress at defined points in his development.